A comment to the previous post mentioned the practice of "chit funds" in the Indian-Pakistani subcontinent, wherein participants in a RoSCA who have not yet collected the pot bid for the pot at each stage of the cycle. This adds an explicit interest rate (discount pricing, similar to the way Treasury Bills are sold) to the implicit one imposed only by the order of collection. Later rounds of the RoSCA, approved by jurists, as described in the previous posting, may be for larger pots. This gets around the problem of introducing interest payments within a single RoSCA cycle -- which is the focus both of commercial "chit funds" and much of the Economics literature (e.g. Besley, Coate, and Loury, American Economic Review, 2003). As I shall discuss below, I think that this focus on a single cycle of the RoSCA misses the main significance of investment in social capital: one is compelled to participate (as a later recipient) in a RoSCA when one is asked. Social capital is the availability of a pool of people willing to lend you at zero interest at some/any point in the future. One should focus on the repeated game rather than one stage. Participation in one or more RoSCA has been shown to increase with reported religiosity, as shown in Indonesias' participation in one or more arisan using probit and ordered probit estimation by Sowmya Varadharajan. This is very useful because an individual who cannot in one period fulfill their obligation in one RoSCA may start another of which they are the first recipient to meet liquidity problems. In other words, the social capital invested in one's circle of friends/family/... provides guaranty against default and dissolution of earlier RoSCAs. This can easily be used to manufacture banking products through staggered overlapping RoSCAs: the second recipient of the first RoSCA is simultaneously the first recipient of the second RoSCA, the third recipient is the first recipient of the third, and so on. This way, later recipients of the pot from earlier RoSCAs can receive explicit interest for the loans that they extended by receiving an interest free loan of equal or larger size. It would be very easy to mimic any amortization table using such structures (a simple spreadsheet would do). Unfortunately, the latter possibility makes these structures vulnerable to the creation of pyramid schemes. Indeed, in the different but related JAK system, it appears that a pyramid scheme did develop in the earlier experiment before the bank was licensed and regulated. There is an inherent pyramid scheme in every fractional reserve system (otherwise, what is the banking multiplier other than a pyramid scheme), and we have seen ample proof over the past few months to illustrate that our entire financial system is one gargantuan-sized pyramid scheme (as Krugman called it, the decade at Bernie's). Of course, one has to be particularly careful not to build pyramid schemes in the name of Islamic finance, especially given recent decades' experiences in Egypt, Albania, and other countries (in addition to numerous unfortunate web-based pyramid schemes in Malaysia and elsewhere). However, that is a regulatory concern that extends well beyond the specific problem with which we are currently concerned. So, it is clear that we can deform RoSCAs the way that Islamic finance lawyers and consultants have subverted classical Islamic contracts (e.g. structuring loans cynically through the trust sale known as murabaha, which was simply negotiation of a profit margin instead of the final price, trusting the seller to reveal their cost -- i.e. negotiating markup over invoice, without any credit sale component). However, this would defeat the purpose of trying to reboot Islamic finance. The idea is not to have as one's goal replication of the existing conventional finance. Indeed, my argument has been that if we can replicate a conventional practice, then we should use that replication as a form of juristic identification (تكييف فقهي), for example of mortgages, to permit the more efficient conventional practice in such cases. In cases where we or our target audience find a conventional practice to be forbidden Islamically, the objective should be to take an existing practice that is generally accepted by the Muslim public, and (credibly) approved by religious scholars who issued their opinions independently from institutions that make profits based on their religious opinions, and then to see if we can make the practice (e.g. RoSCAs) more efficient. In this quest, we should keep the structures as simple as possible, in order to avoid confusing religious scholars or potential customers. My proposal (to discuss in the next post) is to organize the leveraging of social capital inherent in RoSCAs using a hybrid of the mutual banking structure of JAK (which is conducive to development into a credit union model) and the theory of takaful (literally: mutual cooperation, but the term is used for non-commutative forms of insurance marketed by Islamic finance providers, albeit not structured properly as mutual insurance). A group of people agree each to pay the same amount each month. At prespecified periods, they take turns collecting the entire pot. A full round is finished when each member has collected the pot once. At each step, the payments are equal, and the pot is of the same size. Thus, everyone pays the same and collects the same as everyone else. The cooperative may continue for two or more rounds if all parties wish it. Most often, the "banker" of the cooperative collects first followed by the next person to join the cooperative. Sometimes, a lottery determines who collects if all parties to the cooperative were equal. At other times, the one most in need collects first. Another variation would require that two or more rounds must be completed, with the order of collection changing from round to round so that the first borrower in the first round would be the final collector in the second, and so on. ... This is an old practice that has been addressed by classical scholars, including Abu Zar`a Al-Razi, who was one of the leading narrators of Prophetic Traditions, and he indicated that it is permissible, as stated by Dr. Khalid Al-Mashqih, a Saudi scholar. The reason for differences in opinion regarding this practice is how it is classified juristically. Some viewed it as a loan that is beneficial to the lender, and thus forbade it, and others saw it otherwise and permitted it. The reason that some saw it as a beneficial loan is that participants extend a loan with a stipulated condition of another later loan, which is beneficial. Thus, those who adopted this position cited the Prophetic Traditions: "every loan that is beneficial to the lender is [forbidden] riba" and "if one of you makes a loan and then receives a gift or a favor to ride the borrower's animal, then he should neither ride nor accept the gift, unless such courtesy had occurred before" (reported by Ibn Majah). Those who permitted the practice also argued that the default ruling for financial transactions is permissibility. Therefore, prohibition requires proof, and there was no valid proof for prohibition in this case. On the contrary, they argued, this is classified under mutual assistance, good charity, and assistance of fellow Muslims. In addition, the "proof" of prohibition is based on the Tradition "every beneficial loan is [forbidden] riba", which is a weak tradition with faulty chain of narration. The scholar of Tradition ibn Hajar said that its chain of narration is weak. In this regard, the weak tradition was admittedly accepted as a juristic rule, but not every benefit in a loan is deemed forbidden. The other tradition ostensibly presented as proof for forbidding the practice is categofically invalid, as Al-Haythami said in Al-Zawa'id: "it contains `Utba ibn Hamid Al-Dabi, whose narrations are rejected by Ahmad and Abu Hatim. In this regard, the great scholar ibn Taymiya listed examples of permissible mutual benefit when he said: "There is no harm for a farmer to say to another: `help me to do my work and I will help you to do yours; you work with me today, and I work with you tomorrow'." In summary, "financial cooperatives" (الجمعيات المالية) are permissible Islamically, and it is best to use collateral or guaranty (ضمانات) for participation, to minimize disputes, and to document the mutual debts for all participants in a manner that guarantees each party's rights. The Egyptian Dar Al-Ifta (opinion #5568) went further by arguing that such mutually useful practices are not only permissible, but commendable because mutual cooperation is one of the best religious works. 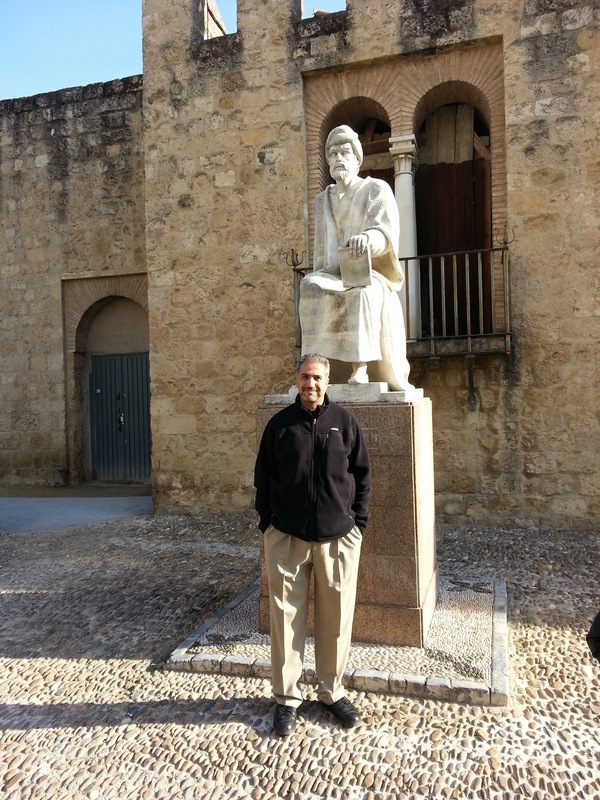 I am embarking on a potential research program with established researchers in developing-country microfinance experiments (the research team of Dean Karlan). I am not sure if this research program will take off the ground (law enforcement logistics of doing anything in majority Muslim countries are often difficult). I gave a couple of presentations on the proposed structure, including in Abu Dhabi, hoping that somebody from ADIB would be there to give us feedback and possibly to facilitate the experimental study, but had no luck. I have spent far too long arguing with highly-paid bankers, lawyers, and Islamic banking experts regarding the permissibility of conventional mortgages, and suggesting to their potential customers that their portrayal of Islamic jurisprudence is incoherent (e.g. what constitutes a loan as qard and what does not). 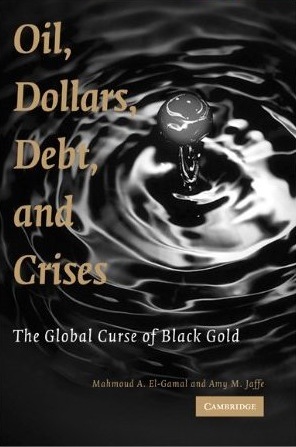 With mostly illiterate poor populations, that is of course a lost cause, and the highly paid bankers, etc. have -- so far -- made it clear through their actions that they have no interest except for public relations purposes. The structure that I proposed is a hybrid between the interest-free model of the Scandinavian JAK bank and the well known Rotating Savings and Credit Association (RoSCA) models that are popular in all Islamic societies (as well as non-Islamic developing countries). This model is known in the Egypt, where I grew up, and the rest of the Arab world as gam`iya (financial cooperative). It is a practice that the majority of traditional jurists, including the late Bin Baz have approved. The JAK model is very much focused on mortgage financing, where member loans are secured by the properties financed. (i) This makes it applicable, for example, as an alternative structure for North American or other countries' mortgage markets, but not for the microfinance sector. (ii) Also, the JAK model lacks the ability to utilize social capital through peer-monitoring, which is indigenous to RoSCA structures and successfully adapted by Dr. Yunus in his group-lending Grameen model. The RoSCA model suffers from (i) fragility, because one person's withdrawal would ruin the finance facility, (ii) symmetry of contributions to the pot, which makes it difficult for financing smaller consumer and larger business microloans simultaneously, (iii) does not have the flexibility to provide equity positions and/or return on savings for older/richer participants who do not need to receive the pot but would like to participate and receive a return, and (iv) is not conducive to growth and institutional development into bank or credit union structures. I plan to summarize my proposed hybrid structure in the next posting. 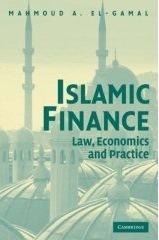 I have been very critical of Islamic finance as it has evolved since the 1970s: an inefficient part of the international financial system that served no purpose except line the pockets of lawyers and experts. Now that the tools of structured finance have been proven to be as much a disaster as others and I had warned, perhaps participants in this industry - many of whom are sincere, I am sure - will hopefully abandon their response to my critiques: "what is wrong with SPVs, that is how all finance is done with success." Perhaps now is the time to switch from negative criticism to positive suggestions of how to do things differently. His full statement is available here. Now, if only an Islamic jurist would say the same... Oh, wait a second, they have been saying that for centuries, including ibn Qayim in I`lam al-Muwaqi`in and the Ottoman Empire's jurists in Majallat al-Ahkam al-`Adliyya. The problem is not about rhetoric, but practice and implementation. I hope for everyone's sake that "substance above form" will become the practice in all financial circles.